EXPERIENCE AS A FLASHLIGHT: When I was in my 30’s and my life was in high gear I couldn’t wait until I could retire. It seemed my life was so busy I never had the time to enjoy things. I was under the pressure of an 8 to 5 job. I was paying a mortgage, married and running through my days. I worked in Detroit commuting every day. I once figured if I worked at the same company until I retired, I would have spent 2 years on the bus going to and coming from work. When I was in my 40’s and 50’s I had the kind of job that required self-motivation. I worked at home or in my office next door. The work was not as demanding, but there were too many meetings at night. I had to work Sundays. I was on call 24 hours a day. It seemed that work was taking too much time and energy. As I neared retirement, I imagined carefree days of relaxation, having nowhere to be and nothing to do. I remember noting that I would need to have some kind of focus because I had heard of a number of men who retired and within a year had died. No focus. Having nothing to do would be a plan for catastrophe. I was going to take it easy and NOT volunteer. 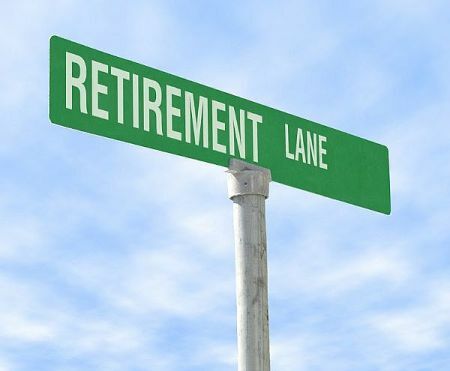 As I neared retirement, I began to fear I would die never getting to experience it. Finally my retirement arrived. I was ecstatic. I loved being able to ride my bike around town in the summer while other people were at work. One morning, however, I woke up thinking “what is my purpose? I don’t have to be anywhere. I don’t have to accomplish anything.” I felt hollow and purposeless. It occurred to me that I needed to find the right balance between things to do and free time. I gradually picked up some volunteer jobs to fill out my time. I wrote a book which was a huge project. In retirement, there have been times of regret that I don’t have a job, not for the money but for the singleness of purpose and discipline. Even though I know I could not keep up the pace, I miss the focus and discipline a steady job provides. Retirement is nice. I can set my own agenda. I have the freedom to write. Having a job all those years, however, provided me with a focus and a routine. This entry was posted in Adaptability, Aging, Contentment, Enjoyment, Focus, Fun, Happiness, Laughter, Life, Money, Nature, Old Age, Pleasure, relationships, Retirement, Stress, Volunteerism, Wisdom, Work, Youth and tagged Aging, attitude towards work, Comparison, Enjoyment, Identity, Liberty, Life, Perseverance, Quiet Time, Renewal, Retirement, Self Worth, Volunteerism, Work, Worry. Bookmark the permalink.